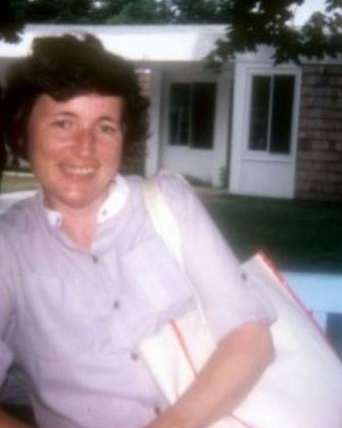 Kathleen Winifred McGlynn (nee Solan) died peacefully surrounded by her loving family on March 28, 2019 in Ridgewood, NJ. She was 83. Kathleen was born on December 2, 1935 in Brooklyn, NY to her parents, Winifred and Patrick Solan. After losing both parents at a young age she put herself through nursing school and graduated in 1955 with a degree in Nursing. She married Martin McGlynn Sr. in 1961. The McGlynn’s moved to Sheepshead Bay, Brooklyn where Martin worked as a Lawyer in New York City and Kathleen was a nurse. They had four children John, Patrick, Martin Jr. and Mary. The McGlynn home was filled with many happy times and they particularly enjoyed the Christmas holidays as a family. Kathleen loved to travel, especially enjoying a memorable family vacation to Ireland in 1996 where she was able to meet her relatives in Roscommon, Ireland. She also loved to be creative and enjoyed crafting and making keepsakes for her church bazaar. In her later years she loved game shows, Diet Pepsi and Vienna Crème cookies and enjoying the company of friends at the Family of Caring (Van Dyk) Nursing Home in Ridgewood, NJ. She loved her family most of all and enjoyed many happy family get-togethers and was devoted most especially to her grand-daughters Caitlin and Regina McGlynn.Kathleen is survived by her Son John McGlynn and his wife Nicole of Stirling New Jersey, her Son, Patrick and wife Eileen and grand-daughters Caitlin and Regina McGlynn of Jackson, NJ ; her son Martin Jr. and his wife Michelle of Ridgewood, NJ and her daughter Mary McGlynn of Brooklyn, NY. She is preceded in death by her sister Mary Kilduff, her brothers Michael, Eddie and John Solan and her husband Martin McGlynn. Kathleen McGlynn will be buried in a private ceremony on April 2, 2019 at St Raymond’s Cemetery. A visitation is scheduled for Monday April 1, 2019 between the hours of 5-9 p.m. at Feeney Funeral Home in Ridgewood, NJ. A Mass at Our Lady of Mount Carmel will be held on April 2, 2019 at 9:30 prior to the burial. All are welcome to attend and celebrate Kathleen’ life.